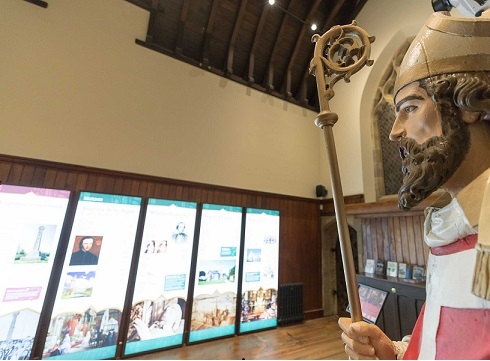 A very well worth place to visit is the St Augustine’s & Pugin: Shrine & Visitor Centre celebrating the place where St Augustine landed in 597AD to bring the Gospel to England and where the great Victorian architect, Augustus Pugin, lived, worked and built his personal church. A new small book for children called Mr Pugin has just been produced with water colour illustrations. It is published by and sold at £5 by the Visitors’ Centre, St Augustine’s, Ramsgate, Kent.